Coda Chroma is the alias of Melbourne based musician Kate Lucas, and is a vehicle for her obsession with writing songs. Coda Chroma’s songs are drawn from personal dreamscapes and real life encounters, delivering poetic honesty with a nostalgia for the unknown. She works closely with NZ born producer Damien Charles on this cinematic, Indie Folk project, creating otherworldly arrangements and cinematic musical landscapes. In 2017 Coda Chroma invited us into a kaleidoscopic world with the release of her debut self titled album. Multiple album tracks have been high rotated on Double J, playlisted on Spotify, and the live band were nominated for an Age Music Victoria Award after playing a string of shows with Husky, Ainslie Wills, William Crighton, and Ali Barter. 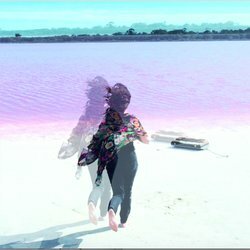 Coda Chroma returned to Melbourne in 2018 from a UK/ European tour to release “Circles”, the first single from her forthcoming sophomore album, followed by an east coast tour of Australia in cahoots with artists Ben Panucci (The New Venusians) and Georgia Fields. Coda Chroma’s new indie folk single “Out Of Body” is the second offering for this year and will be be released alongside a self made, dissociative music video on 19th of October. "Out Of Body” circles lyrically around feelings of social isolation, the rediscovery of identity, domestic overwhelm, and Kate’s longing for the stillness of natural landscapes. She and producer Damien Charles have created a widescreen and emotive piece of music that echoes some of their disparate influences, such as Joan as Police Woman, Sebadoh and jangly Flying Nun bands of NZ.